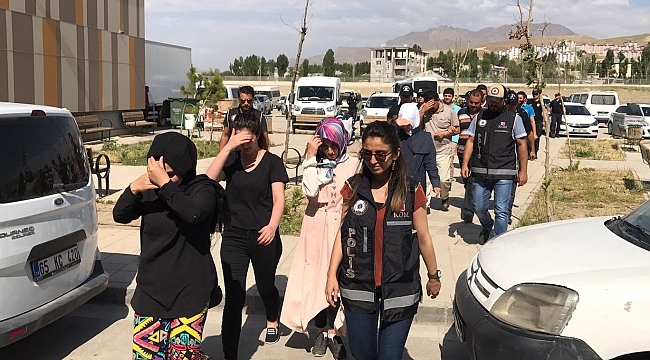 At least 22 people in the eastern province of Van were detained as part of an investigation into the Gulen movement on Friday. The detainees included teachers, lawyers, engineers, police officers and muezzins. Muezzin is a person tasked to call people to mosque for prayers through minaret. The suspects are accused of using ByLock, a smart phone application that Turkish authorities believe was widely used as a communication tool among followers of the Gülen movement, accused of being behind a failed coup last year. The movement denies involvement in the abortive coup. Meanwhile, 14 others including teachers, academics and police officers were detained over similar charges in Cankiri province on Saturday. Tens of thousands of civil servants, police officers and businessmen have either been dismissed or arrested for using ByLock since the failed coup attempt.